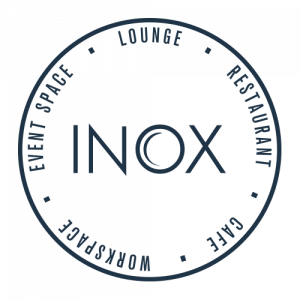 Talented young chefs at Sheffield’s newest restaurant, Inox Dine, have completed their most challenging service yet. Cooking for more than 100 dignitaries from across the City when they gathered on 24th October to celebrate the official launch of the newly redeveloped University of Sheffield Students’ Union building. The event was hosted by Inox Dine which is situated on the fifth floor of the new building. Under the watchful eye of Sheffield born Head Chef, Joe Berry, the recently crowned winners of the Skills for Chefs Young Restaurant Team of the Year 2013, Commis Chef, Jessica Marsden and front of house team member, Walda Munyaburiza. Both previously students at Sheffield City College before joining Inox Dine, they were among a team of three young professionals who won the national catering and hospitality competition in July. Two young apprentices also looked to wow guests at the opening event. Chris Sloan, from Buxton, who is fulfilling his ambition to work in hospitality, and Will Bates, from Rotherham, a trainee chef, are both 18 and studying for City & Guilds in catering and hospitality. Among the dignitaries who attended the Sheffield University Students’ Union Building opening was former Manager of the Students’ Union and Sheffield Central MP Paul Blomfield.